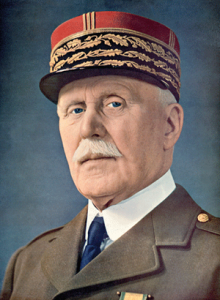 Philippe Petain, Vichy France’s leader. Did German achieve what it wanted by crushing France? Though not really, it was able to flex its military muscle and show the world that wars are not won by numbers only, courage, craftiness, and high-handedness also count. France had a sophisticated military and it was leading in military expertise having successfully modernized its war equipment after WWI, no one would have expected a defeat from the Germans, finally allowing Nazis to occupy Vichy France. This earned Philippe Petain a bad name and finally finding himself on the wrong side of the law when France reclaimed its territory back, but instead of agreeing to a cease-fire with Germany suppose the fighting went on what would have happened? What was required was for France to take note of her military hardware and software and make the necessary redeployment. It could have utilized some of its modernized military assets like the battleships, at that time France had two modern battleships, powerful cruisers, and destroyers, these fleet would have been used especially in the Ardennes offensive to evacuate part of its army when Germany captured the area. The same fleet would have been used to demolish Germany military cells even before they strike Poland thereby paralyzing them. The same would have been used in several other places including; supporting its allies like the Italian Navy on its defense for the Indochina, defending the Greek and deterring the Japanese from encroaching on the French Indochina. Occupation of Vichy France contributed a lot to the success of Japan in French Indochina, had France continued with the resistance Japan would have found it tough to defeat Indochina forces as they relied more on France for inspiration. Its resistance against the Germans would have also had an effect on Italy’s presence in Africa. Italy was competing for Libya with the British which would have made it very difficult if France had its house in order. Italy was less tough when it comes to war and Franco-British forces would have made Italy lose the battle for Africa earlier on. But it can’t go without mentioning the damage the war would have done to France. Germans wanted to occupy France on all means and would have continued to shell France military grounds causing an irreparable damage. Though Germans went on to steal what remained of French military including its coffers the situation would have been much worse was it not for Vichy collaboration. 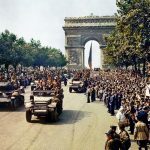 It was however unjustifiable for the French government to stop resistance from Germans as it helped Hitler’s ill regime occupy more grounds from where it continued tormenting Europe.